my dearest tiger lamb monkey baby, Odysseus, says hi! Now all we have to figure out is how to work with the redesign that wordpress has thrown at us so our return to blogging is less painful in the future. Today, we couldn’t reply to waiting comments without signing in multiple times. On the plus side, I was able to follow my own blog since WordPress didn’t recognize us as ourselves. Bonus!! Then we had trouble uploading Odie’s newest pic that we took this morning. He’s missed you guys too, and wanted to say hi. Plus, he loves photo shoots with is Momma because he gets lots of treats, grooming and attention. Yayyy. 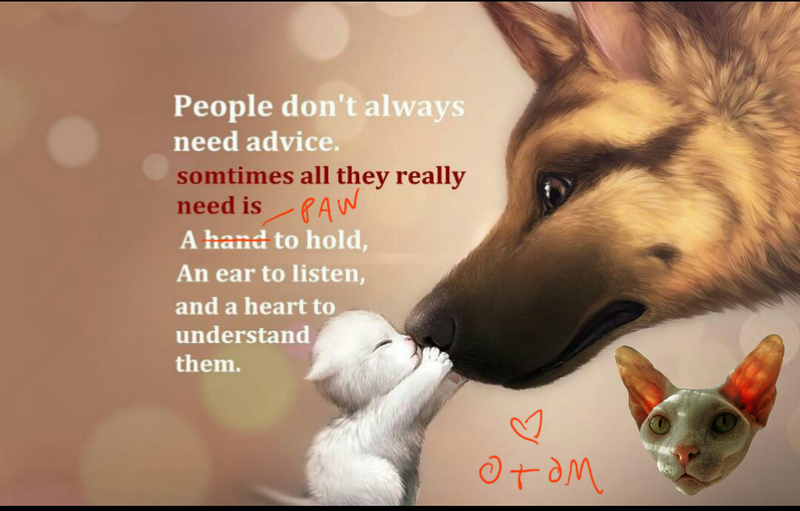 Once we got his pic uploaded, we couldn’t figure out how to write in these paragraphs (you’re seeing now) above and below Odie’s portrait. So he turned on his side and went to sleep, while assuring me that, “Momma could do it on her own.” I did. Odie’s still sleeping, btw. Good news: we finally got there/here and are happy to be sharing with you. Boy, have we missed you all! Is anyone else feeling like the new user interface is harder to use?? ** we promise to post more soon. My baby moo moo sugar pie piglet kitty lamb lion has turned four. Meaning he’s 32 in human years. By next year he’ll be older than Me!! They grow up so fast, don’t they? 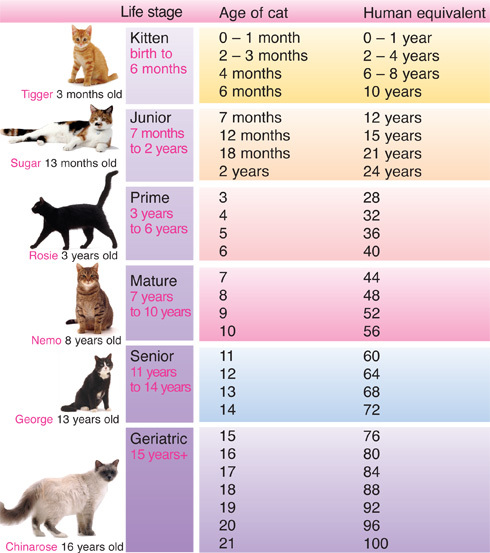 Here’s a chart showing how indoor cats age relative to humans. 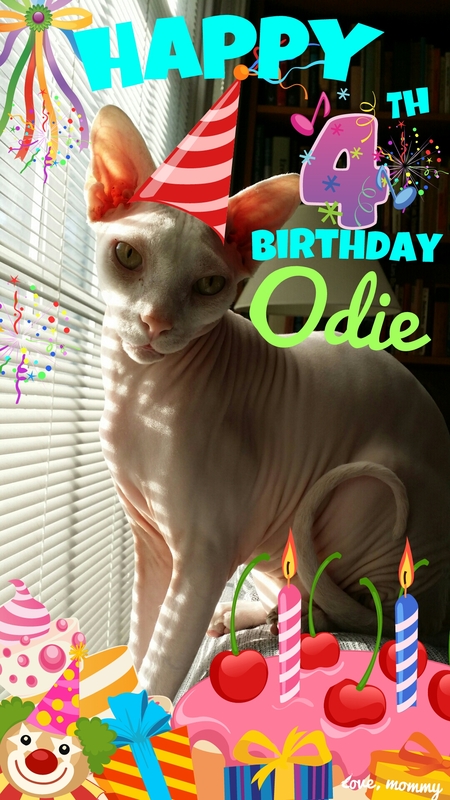 A website that has a cat age calculator says Odies 35. obviously we aren’t going to go by what some complicated algorithm from this Web page says, especially a site that makes odie any older!! Hugs to all of our friends and our animal friends too!! 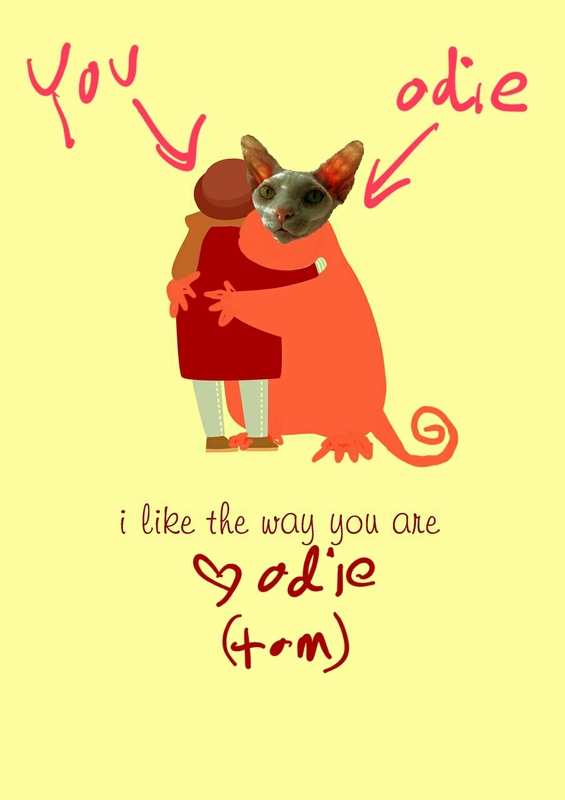 You’ve made Odies years wonderfully rich. And we look forward to many more. 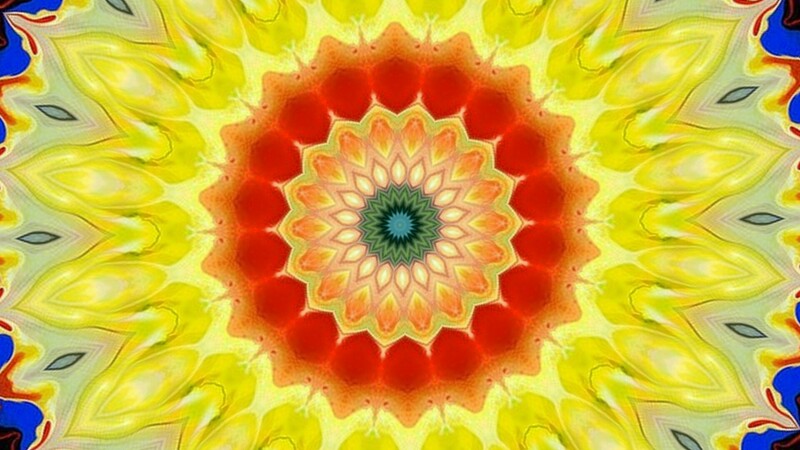 Your spiritual flowers may blossom, no matter the season. Odie and I will keep this in mind as Chicago plunges headfirst towards the winter. No worries guys. Odie is still proudly rocking what’s left of his family jewels under that dress. Besides, he’s too busy writing fairy tales to worry about labels, limitations, parameters or mainstream expectations. 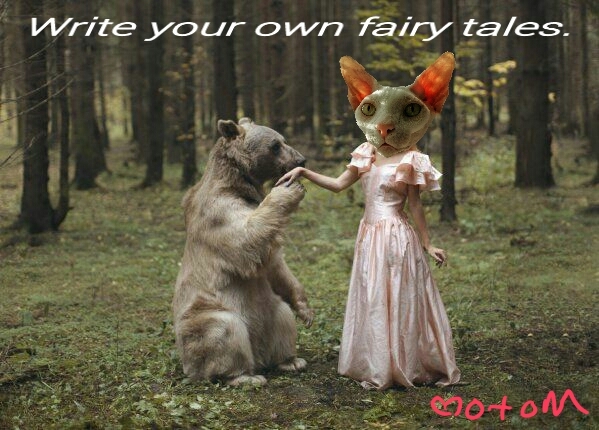 Hope everyone writes his or her own fairy tale as he or she sees fit. 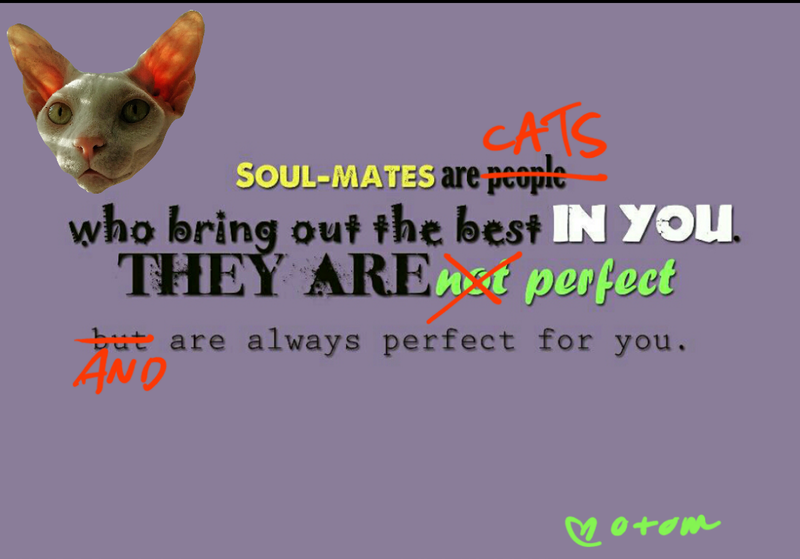 Odie thinks human and cat pairings are Purrfect! I agree.